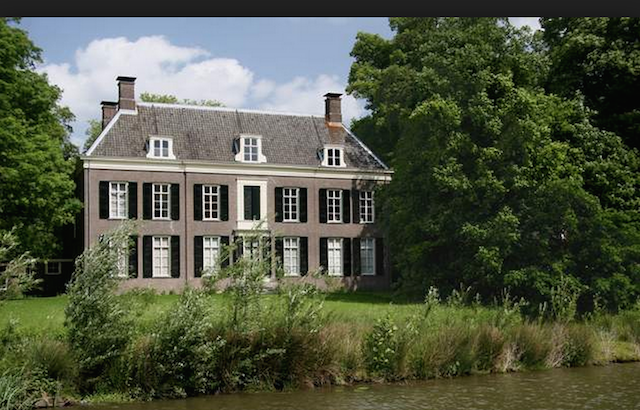 On the East side of the City Utrecht, at an hours walk from the city-center, are two castles in the countryside. Castle “Oud Amelisweerd” is a museum and “Castle Rhijnauwen” is turned into a very nice low-budget hostel. Around the castles is a lovely forest and you now what? Clarice van Houten grew up in this forest. Clarice is a famous Dutch actress who plays the role of Melisandre or also called “The red woman” in the popular tv-series Game of Thrones. The museum Old Amelisweerd is in the forest surrounding Amelisweerd and shows tree collections: the Armando Collection, Country Seat Amelisweerd and a Collection of Chinese Historical Wallpaper. Ancient Chinese Wallpaper in the Museum Oud Amelisweerd. The history of Castle Amelisweerd goes way back to the year 1224 when the estate Amelisweerd (Ridderhofstad) was built. The castle is destroyed and rebuild many times. In the middle ages Knight Amelis divided the place for his tree sons in to the Old Amelisweerd en and New Amelisweerd. The park Amelisweerd and Rhijnauwen are national monuments now. The domain is covered with a lovely forest. Ancient trees cover the shores of a clear river and many small waterways which smoothly curl through the landscape. 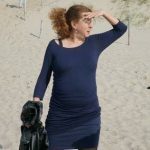 From 1808 till 1810 during the French occupation King Lodewijk Napoleon owned the estate Amelisweerd, he had big plans for the property but they were never realized. Address: Museum Amelisweerd, Koningslaan 3, Bunnik. Make youre trip more special and rent a canoe or electric boat Rijnstroom Rentals. Cruise the river “Kromme Rijn” (Rhine) upstream through the forest Amelisweerd. Make a stop by museum Amelisweerd and afterwards you sail to Teahouse Rhijnauwen. It is possible to walk from the Central Railway Station Utrecht to Rhijnauwen, just follow the Oude Gracht and then go east along the river “Kromme Rijn”. You walk along the bending river into the forest Amelisweerd. From central station Utrecht to Castle Rhijnauwen is about 7 kilometers. Renting a bycycle and tour the countryside is also a very good idea. Theehuis Rhijnauwen is near Castle Amelisweerd. If you visit Theehuis Rhijnauwen make sure you eat the specialty of the house, a Rhijnauwen wrap, it’s my favourite. The ancient Castle Rhijnauwen was built in the 12th century. If you have the time I suggest you spend at least one night in the Stayokay hostel Rhijnauwen. You will have a stately night’s rest in the forest. This hostel is uniquely placed in a forest area on the banks of the Kromme Rijn, less than 5 km from the city Utrecht. And above all, they charge you really nice prices. Sign of the bio dynamic garden “De volle Grond”. The fortress Fort Rhijnauwen is part of the Dutch water defense line. The fortress is located near Theehuis Rhijnauwen, on special days you can visit the fort.